The results of Alabama's high-profile Senate election will be certified Dec. 28. Roy Moore hasn't conceded as of Saturday morning. He lost to Democrat Doug Jones by more than 20,000 votes but floated the idea of a recount and started raising money to investigate voter fraud. 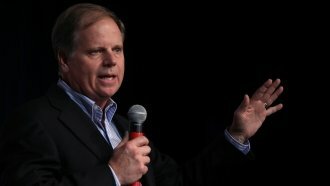 The Montgomery Advertiser notes that Republicans officials appear to have accepted the election results, and Jones has already set up a transition website.